Claude Monet, an early leader of French impressionist painting, is arguably one of the most famous artists of the 20th century, best-known, of course, for his magnificent Water Lily paintings. Even so, relatively little is known about the artist behind the art. That’s where acclaimed Canadian historian, Ross King, comes in. His latest book Mad Enchantment: Claude Monet and the Painting of the Water Lilies” captures the last dozen years of Monet’s life, from 1914-1926, when he painted his greatest masterpieces — the aforementioned large-scale Water Lilies, a series of about 250 oil paintings depicting his flower garden —against the backdrop of World War One, and as King explains, all sorts of personal crises. Monet had recently lost his wife, only to find he was going blind a year later. If that wasn’t enough, his eldest son fell ill and died of syphilis, while his other son was sent to the front to fight for France. 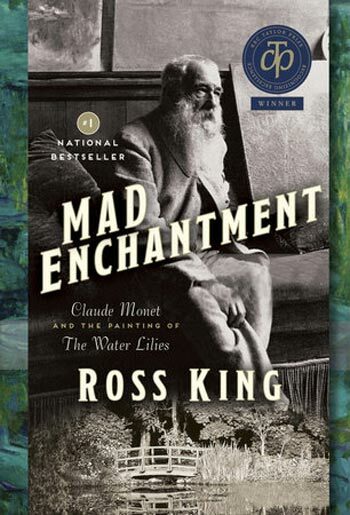 “My inspiration for it was a letter he wrote as the war broke out in the summer of 1914, declaring that he would stay at his home in Giverny and paint in defiance of the German invasion of France,” Ross told Zoomer. 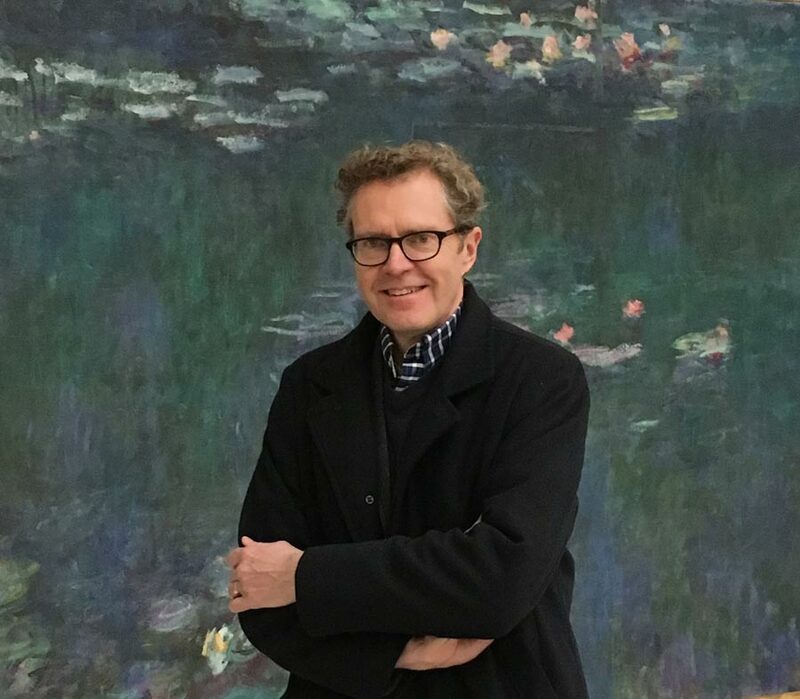 To capture the spirit of the paintings and their masterful interplay of light and water, a new documentary “Lilies by Monet – the Magic of Water and Light gives an in-depth look at the artist’s massive body of work via a cinematic tour of exhibits around the world, as well as the heroic, personal struggles that galvanized Monet to revolutionize Modern Art. The film was inspired by Ross’ bestselling book, and he has been intimately involved in the project. The documentary, which will screen across Canada starting on Dec. 5., will be available through Cineplex Events In the Gallery Series. It will run through Jan. 21, 2019. King is also the author of bestselling books on Italian, French and Canadian art and history, including Brunelleschi’s Dome (2000), Michelangelo and the Pope’s Ceiling (2002), The Judgment of Paris (Governor General’s Award, 2006), and Leonardo and The Last Supper (Governor General’s Award, 2012). He has also published two novels (Domino and Ex-Libris), a biography of Niccolò Machiavelli, and a collection of Leonardo da Vinci’s fables and riddles. Here, we ask Ross for his thoughts on aging, inspiration, writing and finding happiness. What advice do you wish you’d given your 25-year-old self? Stop jogging – it’s only going to make your asthma worse. And while I’m on the running theme, remember that life should be a marathon, not a sprint. Just because you haven’t done something by 25 or 30 doesn’t mean you never will. Keep up with technology. Also, make friends with young people so you can understand their point of view. The unexpected always happens because the future is impossible to foresee or control. Rejection is not the end of the world. Feeling thwarted and blocked is not a bad thing because a knock-back makes you explore other avenues you may not have considered. How to wrap Christmas and birthday presents. Stop putting sugar in your coffee and tea. You’ll miss it for a week, but after that your taste buds will change and you won’t look back. Other writers. I love a well-turned phrase, a beautiful image, a well-constructed paragraph. I mark passages in my favourite books so I can go back and read them again and again, hoping, I suppose, that some of the magic will rub off on me. Being able to follow my dream by having a career in the arts. I still keep pinching myself. I might have earned more money doing something else, but the job satisfaction couldn’t possibly be as high. Persevere. Never let anything – not a rejection, a bad review, or a horrible day of writing – stop you from believing in yourself and staying true to your goals. September 15, 2000, when I met the woman who later became my wife. Simple pleasures such as sitting by the fire with a good book, having dinner with friends, and kicking around a ball with my nephews.